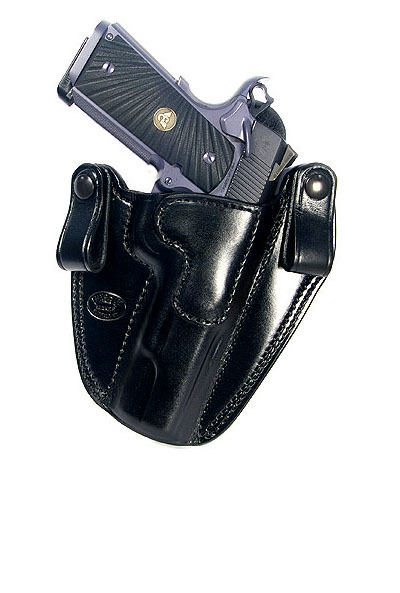 This Ritchie Leather Hideaway Sig P228/P229 Holster is an inside the waistband leather holster, right handed, black, 1 1/2" belt loops. Designed for concealment and comfort. Fits Sig Sauer P228 and P229 railed and non-railed models.